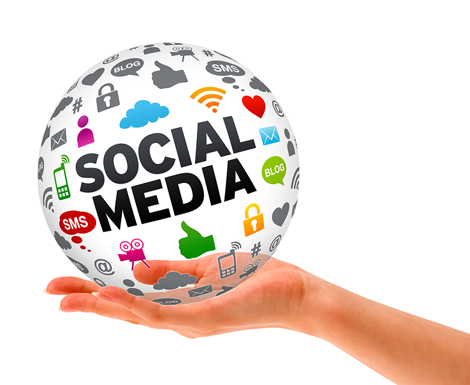 As a small business owner, social media is one of your greatest marketing resources. The ability to instantly connect with thousands of people through a single platform provides seemingly limitless opportunity for your business to reach audiences in a way that past generations never could have anticipated. However, the number of choices available – Facebook, Twitter, Snapchat, and beyond – can easily leave you with questions, namely, which platform do you really need? The key to social media success for your business ultimately rests in your business’s ability to be an active presence on its social media platforms. Take on too many, and you run the risk of being unable to regularly engage with your audience. Potential consumers who come across inactive, or infrequently active social media accounts may actually become less interested in your business. This is why one of the first things you need to do is determine just how much time you have to devote to this social media presence. Rather than having every available platform for your business, you want to focus on having relevant platforms that demonstrate interesting posts and regular updates. When it comes to marketing, it’s important to recognize and understand your target audience. If your business sells clothing to older adults, for example, you’d likely focus more on maintaining a strong Facebook page than on maintaining a Snapchat account, as higher-aged demographics tend to focus on Facebook rather than on Snapchat. Not every platform is for every kind of small business. While (all sites considered) Facebook is still the most popular social media platform, tastes are certainly shifting. All business owners should still consider keeping a Facebook page, but with the understanding that older targets are found on Facebook in ever-increasing numbers, while younger audiences, particularly adults and teens under age 24, dominate Snapchat. In fact, the presence of young people on Snapchat is so strong, that business owners who want to market to this age group may want to make Snapchat their primary social media presence, particularly if they are able to create exciting video content. Popular among a variety of ages and genders, Instagram is ideal for smaller businesses who can post stunning, quality photographs. Pinterest is a particularly unique platform in that it has shown to be extremely popular among females of all ages, making the website an ideal choice for a business seeking the female demographic. However, like Instagram, Pinterest is a visual medium, and small businesses wishing to use it must invest time in digital imagery and powerful links. Twitter, on the other hand, is a platform of conversation. Small businesses considering Twitter must be able to add to the conversation in a meaningful way; otherwise, it’s just another voice in an increasingly growing crowd. Unquestionably, small businesses must be on social media. These platforms are where target audiences are discovering, browsing, clicking, and buying. However, businesses should carefully consider the nature of their audience, as well as the amount of time available to devote to that audience, before registering for their social media accounts. Research and follow the trends in social media, from livestreaming to visual content, so that the pages you do maintain allow for strong growth and loyal followers. In a saturated internet market, it’s sometimes quality over quantity that will elevate your business to success. Guest article written by: Summer Warner is a writer for Best Coast Marketing, a marketing agency that helps increase our clients’ traffic through organic link building.